AI and robotics have captured our imagination like never before. Majority of organizations have reported that they are already executing or will execute AI based projects in their organization this year. The definition of AI is simulation of human ‘intelligence processes by machines especially computer systems. AI has been around for quite some time but the progress made in the last decade has been more than the collective success since inception of the concept. Ever increasing computing power, big data in organizations and modern machine learning techniques and off-the-shelf AI platforms like IBM Watson, Alexa and Google Now APIs are contributing to the proliferation of AI. All this has helped AI systems in delivering on the promise (/potential). Let us be cognizant that even this stage of AI is a far cry from self-aware sentient beings and can probably be best categorized as “narrow AI”, which executes well contained and focussed functions. While AI’s potential is restricted only by our imagination; we will restrain our conversation today to its use in customer service. In the hyper competitive business environment customer service is seen as an important differentiator. Customer service is a constant undertaking of any organization providing products or services. It extends from a stage prior to sale, during sate and post sales. Great customer service helps retain customers, build customer loyalty and builds reputation for new business. The golden rule of good customer service has been to form and sustain relationships that the customer cherishes and is a net promoter. Traditionally organisations have depended on the human element to handle their customers with respect, grace and empathy. However, Millennials and Gen-X have shown distinct preference for intelligent self-service options like chabots, if they are effective in delivering positive and conclusive outcomes. We all have been using some form of AI function in our daily lives. AI generally conjures picture of chatbot, robots, Alexa, Siri, Cortana and Google Now. This humane face of AI is its glamorous side which is most visible and receives maximum media coverage. Such solutions range from simple FAQ responders to advanced Intelligent Virtual Assistants (IVA). IVAs use modern Natural Language Processing(NLP) and machine learning to mimic a human like free flowing conversation. A proper implementation of IVA function can be versatile enough to be effective serving customer across sales and services. Vendors in this IVA space offer a variety of virtual assistant personas that have in many instances become the face of the organization (eg. Jenn for Alaska Airlines, Sgt Star – US Army. While the text chat bots are all the rage, voice bots or voice IVAs is where the future self-service would eventually evolve to. Speech and gesture are natural form of human interactions. Research shows that the same customers who prefer the self-service mode would predominantly engage the voice channel for complex service requirements. While we were interacting with Siri and Google Now, Amazon changed the way we were conducting businesses; Amazon Alexa cut down the process of sales service from looking up items on a mobile device, adding them to cart and checking them out with a simple voice command. This capability can be easily extended for other industries like airlines and travel, health care sites and BFSI. While the IVA/AI interface can lack empathy, tone & timber for human conversation, it makes it up by being objective, efficient and accurate. These bots have the capability to enrich customer service experience as the AI engine can harness and analyse customer information for business association, interaction history across channels, situational events and most suitable resolution. Importantly it should have sufficient awareness to identify situations that are complex, critical, esoteric conversations and the ones that need escalation. It is important at this juncture to ensure that the information related to the intent of the conversation is gathered and moved to the specialist team, with a recommendation of process to be followed. 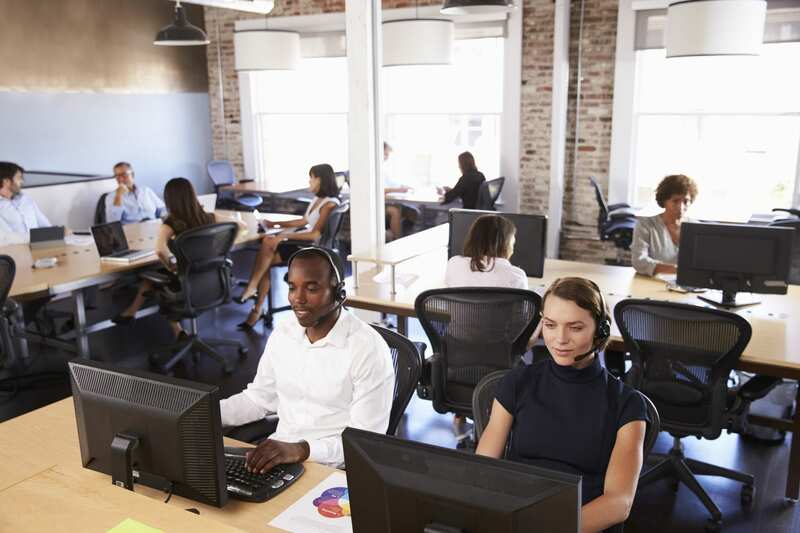 Without this smooth transition the IVA would soon lose its value to customers and they will start bypassing like they do with IVR in contact centers. Although the millennials and Gen-X are comfortable being in a conversation with synthetic beings, it is also difficult to hold their attention for long. Proper execution of IVAs brings in massive cost savings by reducing the number of interactions that come into the contact centres. IVAs need to have deep connection with organization wide core systems and processes enabling it to analyse the customer profile, past interactions and current dialogue to predict what the customer wants and what the next best action could be. IVAs enable organizations to offer a consistent interface for their customers. Everyone who connects with the organization via this medium is likely to receive the same service every time as any other individual who is on same channel. These systems are also available 24×7 and empower the customer with flexibility of interacting with an organization at the time of their choice. Rapid scaling without the operational delays of hiring and training is another great advantage. For customer service we tend to focus on the front (office) end of service and it is easy to forget that the back office actually shoulder’s most of the customer service burden. Every service request like change in our insurance policy, refinancing of a loan, on-boarding of a client by a telco, technical help desk tec. involves the BackOffice. Failure in back office can dramatically reduce the perceived service experience. While the conversational AI focus was on presenting a human face in an interaction, the focus of AI in back office tends to be that of great enabler. Backoffice environments are generally data centric and process driven. This is ideal for AI function as it can act as a force multiplier for the operations. The propensity of AI systems to surpass humans in data gathering speed and to analyse it with consistent focus is extremely valuable. AI can go much beyond mere analysis and reporting of data. Its power lies in the possibility to mine big data for predictive analysis and, better still in offering alternative solutions by identifying trends that we may not even have been looking for. This creates possibility for proactive customer service. For example: Banks and telcos use the chatbots at front end to engage the customers. They can (and some already do) use AI in the back end to assess customer profile, current usage and customer challenges to offer alternative plans. AI can also be used to conduct demand analysis and resource projection for satisfactory customer service. AI is rejuvenating Business Process Management ( BPM) and Robotic Process Automation (RPA) functions by adding intelligent automation capabilities thereby helping avoid scenarios that may lead to need for customer service engagement. Imagine Alexa reminding you that you are running out of milk and offers to ship the product to you. There have been some concerns around synthetic intelligent entities handling large amount of data. Remember Alexa, Siri and Google Now are listening to you all the time and hold your personal information. On its own such AI systems today are not evolved enough to be intrinsically malicious. Since AI in customer service delivers best by analysing customer data, it remains to be seen how the industry adapts to General Data Protection Regulation (GDPR). AI in customer service has a bright future and interestingly with the convergence of AI interaction solutions with other exciting technologies like Internet of Things ( IoT) and Virtual Reality( VR). The potential for personalized services goes up tremendously with this convergence. We could potentially have AI walking you through steps to fix your device via an interactive VR session. It could walk you through a VR home and change the design as you go along as a specification for the build. It could soon be the norm! 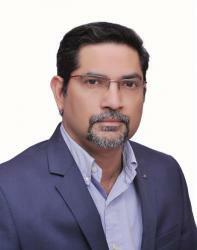 Sunil Aryan, comes with close to a decade of experience in the field of customer experience strategies, automation and workforce optimisation. Sunil is keenly interested in demystifying the possibilities of RPA and AI.